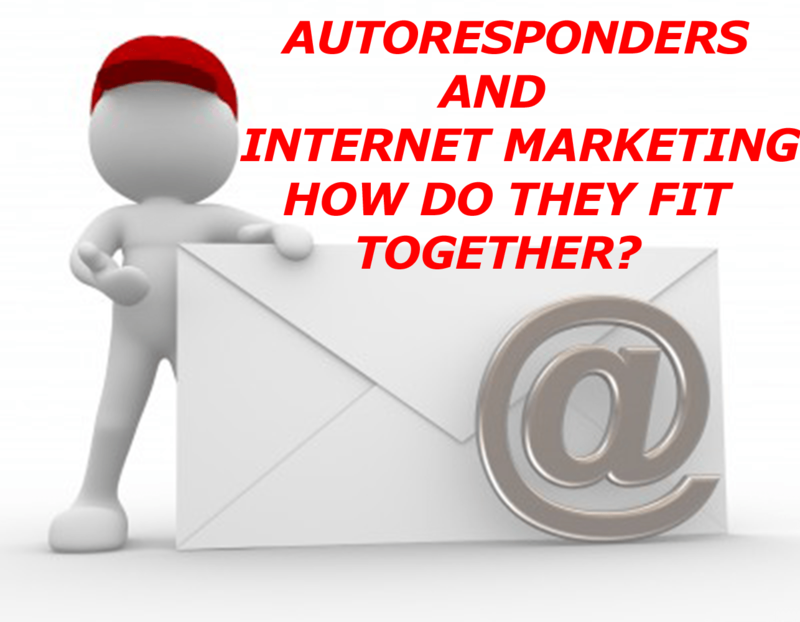 Autoresponders and Internet Marketing - how do they fit together? You are here: Home / Blogging / Autoresponders and Internet Marketing – how do they fit together? Autoresponders and Internet Marketing – let’s see how they work together. Internet Marketers usually use an Autoresponder (like AWeber or GetResponse). Folks who are just starting out usually don’t know what an Autoresponder is or why you need one. This short post and video will go over how autoresponders and Internet Marketing fit together. Internet Marketing involves selling on the web. What some people don’t realize is that most of the sales generated by Internet Marketers are based on an email. You end up with a sales page on the web where the final “purchase now” button is pushed, but purchasers come to the page from an email more often than they do a paid ad or an organic search. This is where autoresponder comes in. Autoresponders and Internet Marketing fit hand and glove. The Marketers collect email addresses into a list, build a relationship with the list and market to the list over and over.Here (very briefly) is a basic Sales Funnel sequence that shows how Autoresponders and Internet Marketing Fit Together..
You create a “home base” on the web – a blog, a website, etc. You create a Sales Page for the product you are selling. You email your subscribers over and over developing a relationship and offering them valuable information and products they can buy. Step 12 is where the real money is made. The rule of thumb is that you can make about $1/month per subscriber on your list. This is the heart an soul of Internet Marketing. There you have it – Autoresponders and Internet Marketing go together to the point that many see them as the same thing.